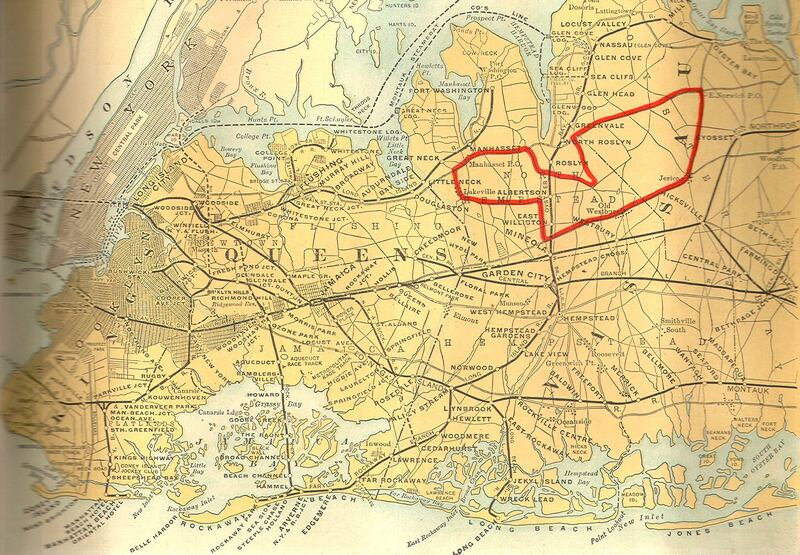 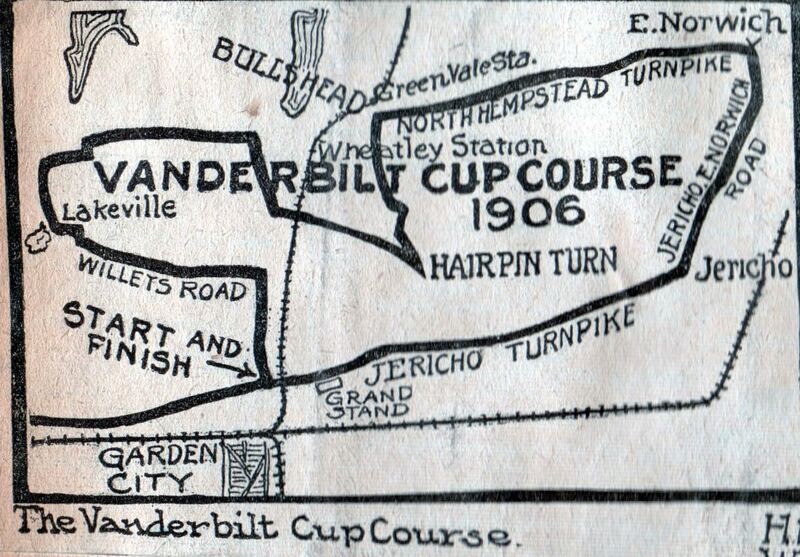 The construction of a new trolley line on Jericho Turnpike from Queens to Mineola in 1906 forced a redesigned of the western section of the course for the 1906 Vanderbilt Cup Race from its 1905 configuration. 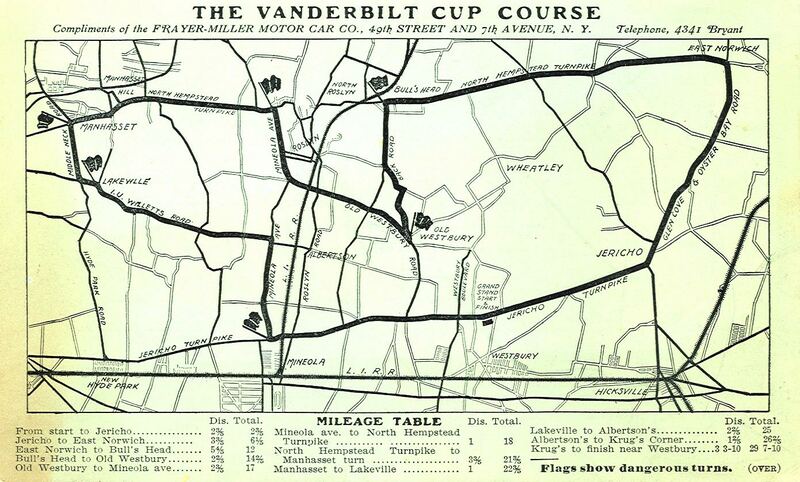 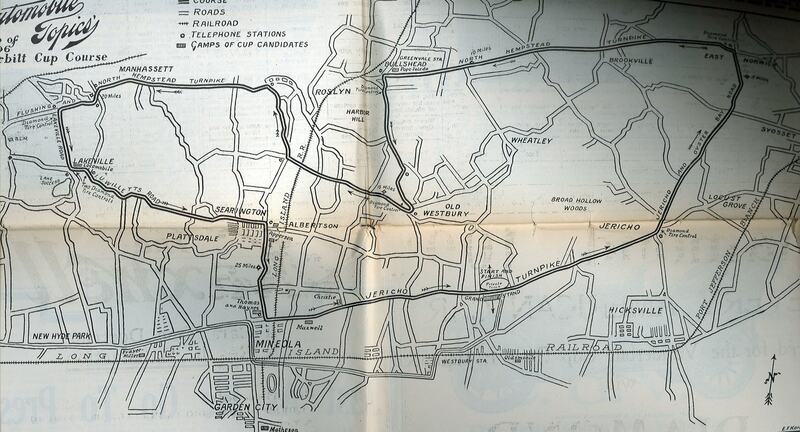 These nine maps provided information on the new 29.7 mile course. 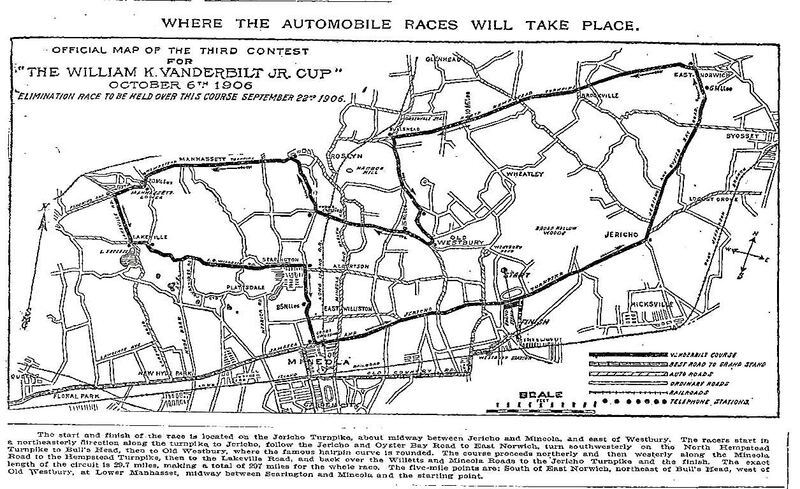 "The start and finish of the race is located on the Jericho Turnpike, about midway between Jericho and Mineola, and east of Westbury. 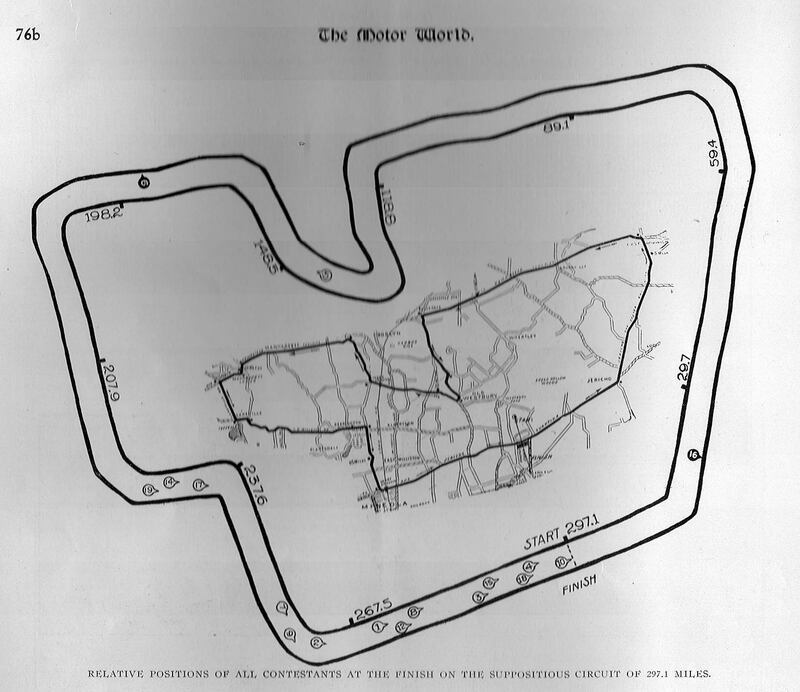 The racers start in a northeasterly direction along the turnpike to Jericho, follow the Jericho and Oyster Bay Road to East Norwich, turn southwesterly on the North Hempstead Turnpike to Bull's Head, then to Old Westbury, where the famous hairpin turn is rounded. 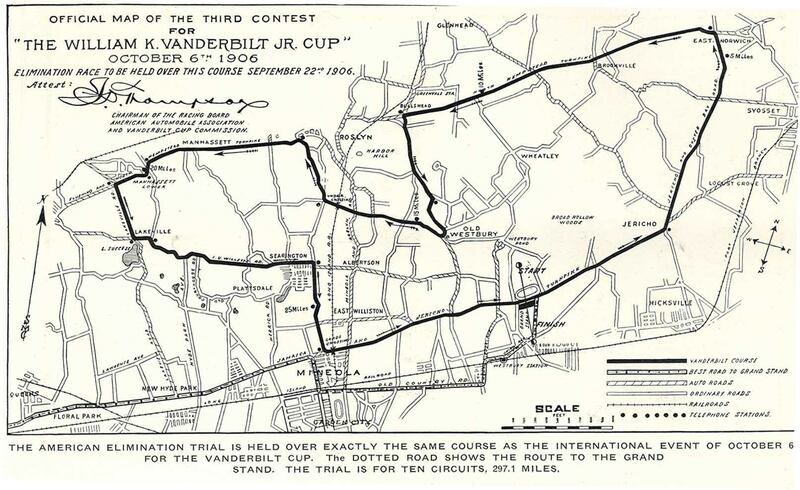 The course proceeds northerly and then westerly along the Mineola Road to the(North) Hempstead Turnpike, then to the Lakeville Road, and back over the Willetts and Mineola Roads to the Jericho Turnpike and the finish. 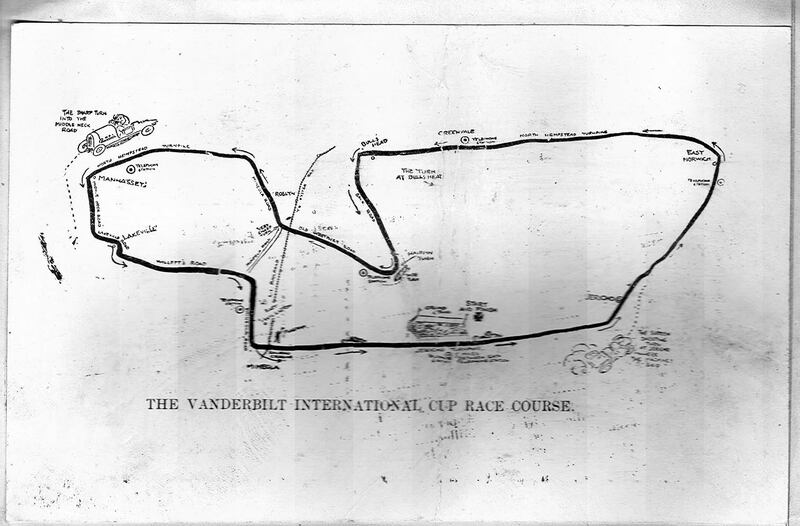 The exact length of the circuit is 29.7 miles, making a total of 297 miles for the whole race."